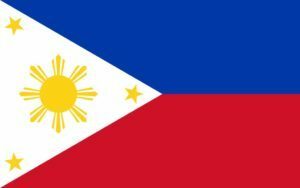 Are you looking for a Tagalog Translator in Australia? Then, you’re just at the right place! OPAL Translation is capable of professionally translating your documents from Tagalog to English and English to Tagalog. For more than seven years, we have assisted hundreds of clients like you in getting their Tagalog documents translated. Our NAATI certified Tagalog translators are some of the most sought after in Australia. With years of expertise and experience, our Tagalog translation services are done by a NAATI certified professional Tagalog translator. We guarantee that all of our translations can be submitted to all authorities requiring NAATI certified translations. We are capable of translating all kinds of documents such as Tagalog immigration documents for the Department of Immigration and Border Protection, medical journals, legal documents, reports, flyers, brochures, mining manuals, and many more. Whatever your needs are, you name it; we have it. Contact us today and receive a free translation quote of your document via the free translation form located on this page. We respond fast to all price requests. Expect that you will receive an email containing a free quotation in just 15 minutes. Are your Tagalog translators NAATI Certified? YES! We have handpicked the most qualified Tagalog translator with years of experience and a field of specialisation. Our NAATI Tagalog translators are capable of producing high-quality Tagalog translation services just for you. How fast can you complete my translation? Our Tagalog translation services are mostly completed in 2 to 3 days depending on the document’s length. Once finished, we will send you the draft of the translation for your approval. Once you have approved it, we will proceed to send you the certified Tagalog translation via hard copy and email. Please allow an added 3-5 working day to receive your postage (Regular post). If you need your translation fast, we deliver Urgent Tagalog translation services for all kinds of document translations. Here, you can receive your translation within 24 hours. Great, right? Send us your document today via the translation form, and we will send you an exact quote within 15 minutes absolutely free! How much are your Tagalog translation services? On a budget? Here at OPAL Translation, we believe that translation doesn’t need to be expensive. As such, we have a per page price rate for standard documents starting at AU $69. Pricing depends on the document’s complexity, language, subject matter and deadline. Complete the translation quote form on this page, send us a copy of your document, and we will send you a free translation quote in just 15 minutes! The most common native language used in the Philippines is the Tagalog language. Most often, it is called Filipino. Despite not being fully synonymous, the Filipino is just a simple term given to the Tagalog dialect. 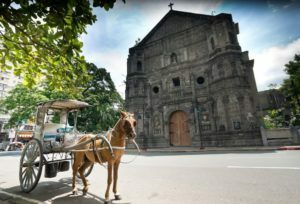 The Tagalog language was standardised to be the country’s official language and help break the barrier between the hundreds of islands with various dialects that make up the country. Around two-thirds of the Filipino population is using Tagalog as an official language while only one third use it as a second language. OPAL Translation strives to provide fast services to all its clients. By just filling in your details in the translation quote form, we can provide you with a firm estimate in just a matter of 15 minutes.